Pupils at Wargrave Primary School can now get stuck into even more books during school hours after the opening of two cosy reading areas. 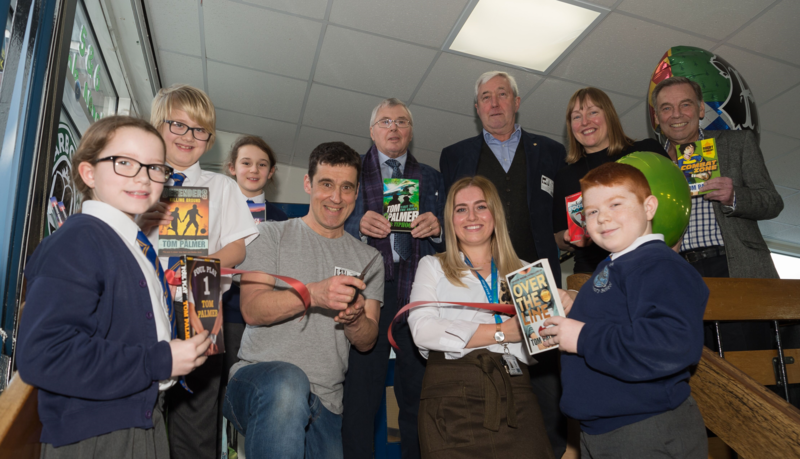 Complete with exciting new books, beanbags and freshly-laid carpets, the ‘book nooks’ have been funded through sponsored reads and book fairs – as well as assistance from the local Rotary Club and visits from the book bus. As a way of showing off their new reading dens, the Newton-le-Willows school recently held a reading celebration week which saw members of the Rotary Club; children’s author Tom Palmer; and St Helens Council’s Library Service Manager, Kathryn Boothroyd, invited down to school as the libraries were officially opened with a red ribbon cutting ceremony. Children then took part in creative writing workshops with Tom, who is best known for his exciting sports based stories and has an international reputation in reader development. “The school is committed to raising the profile of reading and helping children foster a love for it, so it became an aim to fill their library areas with new exciting books.